You could battle the tiny frustrations of daily life and lose. Or, you could enjoy the peace and quiet of America’s national parks, which are free on April 20. The Highwaymen starring Kevin Costner and Woody Harrelson as the real life men tasked with ending Bonnie & Clyde’s reign of terror in the 1930’s is as fine a Netflix original movie as any they’ve released so far or as fine a movie I’ve seen in a while period. It’s not a superhero movie. Not a sequel, a reboot or a remake. It’s finely acted and the movie moves at a slower pace most jump cut editors and movie studios don’t allow these days for fear they’ll lose the audience’s two-second attention spans. I really enjoyed the hell out of this movie. Who doesn’t love a good heist movie? Triple Frontier sees an all-star cast of Special Forces operatives (Ben Affleck, Oscar Isaac, Charlie Hunnam, Garrett Hedlund and Pedro Pascal) reunite to plan a heist in a sparsely populated multi-border zone of South America. Loved the set up, the fast pace, the planning, and the heist. Oh man, the heist. In a secluded estate deep in the jungle, on a time-clock, in the rain…get the money, kill the kingpin and get out before the family gets home from church. The tension and build up to all of this was simply terrific…and then it seemed the writers decided to consult the screenplay and movie plot handbook 101 as the predictable blueprint for the rest of the movie. I even found myself bumping the 10-second fast forward button repeatedly just to get to the end. Not since Dead Poets Society have I been so entertained by the first half of a movie and so utterly bored by the second. I know that’s blasphemy, but to this day Dead Poet’s is the only movie I’ve ever left early. Luckily for me this time, I had a remote control. I had low expectations when I hit play on this Mötley Crüe biopic and it didn’t even live up to those. Bad acting and making bad behavior worse by somehow making it boring dooms this heavy metal head scratcher to a horribly predictable VH1 Behind The Music episode. The Dirt even breaks the fourth wall just so it can tell viewers some of the things you are about to see didn’t actually happen. Do yourself a favor and don’t hit the play button. I’m always fascinated by things other cultures just assume are normal and take for granted as being universally normal. Americans tend to think anything existing outside of U.S. culture as weird but never stop to think, maybe other cultures think exactly the same way and we’re the weird ones. But after reading this list of 10 UNUSUAL DRINKS GERMANS THINK ARE ABSOLUTELY NORMAL…I’m pretty sure the Germans really are the strange ones. 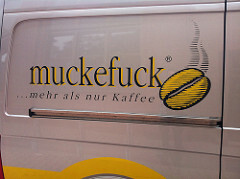 Sauerkraut juice? C’mon. 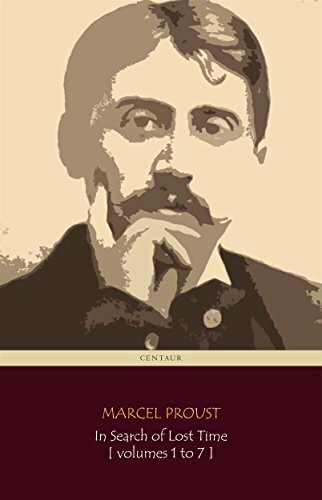 Marcel Proust, the French essayist and novelist, believed that, in answering these questions, an individual reveals his or her true nature. Here is the basic Proust Questionnaire. 1.__What is your idea of perfect happiness? 2.__What is your greatest fear? 3.__What is the trait you most deplore in yourself? 4.__What is the trait you most deplore in others? 5.__Which living person do you most admire? 6.__What is your greatest extravagance? 7.__What is your current state of mind? 8.__What do you consider the most overrated virtue? 9.__On what occasion do you lie? 10.__What do you most dislike about your appearance? 11.__Which living person do you most despise? 12.__What is the quality you most like in a man? 13.__What is the quality you most like in a woman? 14.__Which words or phrases do you most overuse? 15.__What or who is the greatest love of your life? 16.__When and where were you happiest? 17.__Which talent would you most like to have? 18.__If you could change one thing about yourself, what would it be? 19.__What do you consider your greatest achievement? 20.__If you were to die and come back as a person or a thing, what would it be? 21.__Where would you most like to live? 22.__What is your most treasured possession? 23.__What do you regard as the lowest depth of misery? 24.__What is your favorite occupation? 25.__What is your most marked characteristic? 26.__What do you most value in your friends? 27.__Who are your favorite writers? 28.__Who is your hero of fiction? 29.__Which historical figure do you most identify with? 30.__Who are your heroes in real life? 31.__What are your favorite names? 32.__What is it that you most dislike? 33.__What is your greatest regret? 34.__How would you like to die? The joy of giving lasts longer than the joy of getting. Want to raise generous kids? Here’s how. Hoping you’re having a loungy, lazy Sunday. Here’s a few of the articles I read this past week I liked quite a bit. On Likability by Lacy M. Johnson - This one says a lot about what’s wrong with our society. My daughter comes home from school at least once a week and announces to me that no one likes her. She has done something that is too weird, or bold, or has said a thing with which others disagree. She has had to sit alone during lunch or play alone during recess. She even sat on the buddy bench, she tells me, and no one came. While the average nursing home costs $188 per day, Robison wrote that reservations at the hotel chain cost $59.23 per night with both a long-term stay and senior discount. Factor in free breakfast and happy hour and Robison calculated that would leave $128.77 a day for food and entertainment. Not to mention, Robison said Holiday Inns offer a spa, swimming pool, workout room, laundry room and a lounge. Of course, complimentary shampoo, soap, toothpaste and razors will rack up savings, too. Securing a room at the right nursing home may take months, but Robison said reservations for quality customer service can be made now. How much would you need to be paid to give up your Facebook account for four weeks? That was the question a group of researchers from Stanford asked thousands of Facebook users last year in an effort to better understand how the social network affected issues such as political polarization and mental well-being. The study — which paid some users to abandon Facebook and encouraged others to give it up by using just their self-control — found that cutting Facebook out of your life has a number of consequences. Many of them are positive. Emily Dickinson’s Electric Love Letters to Susan Gilbert by Maria Popova - Uplifting and crushingly sad.